This tough, secure, 95-gallon Drum Kit tackles large oil chemical spills. Meets UN and DOT specifications for spill prevention and shipping waste after cleanup. Show you’re prepared to tackle the entire clean-up process from containment and absorption to disposal. 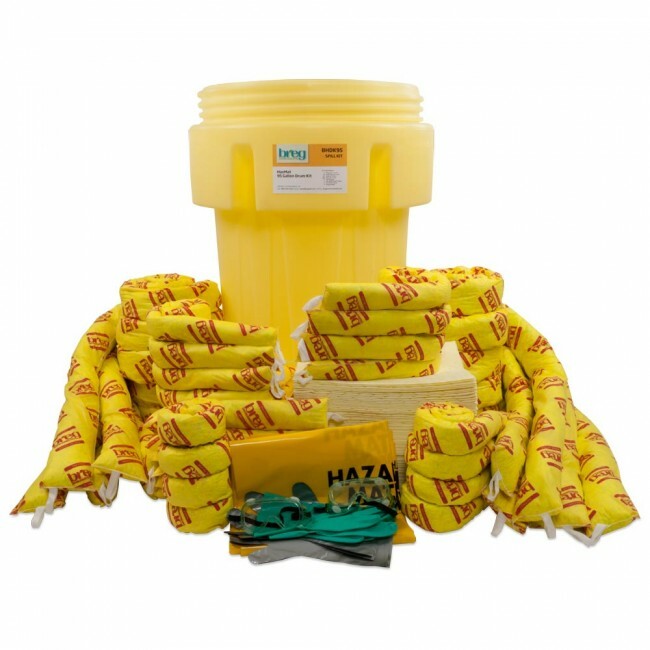 Place this kit strategically near spill prone areas, fluid storage areas or in fuel islands and maintenance areas to avoid time consuming clean-up and expensive fines.